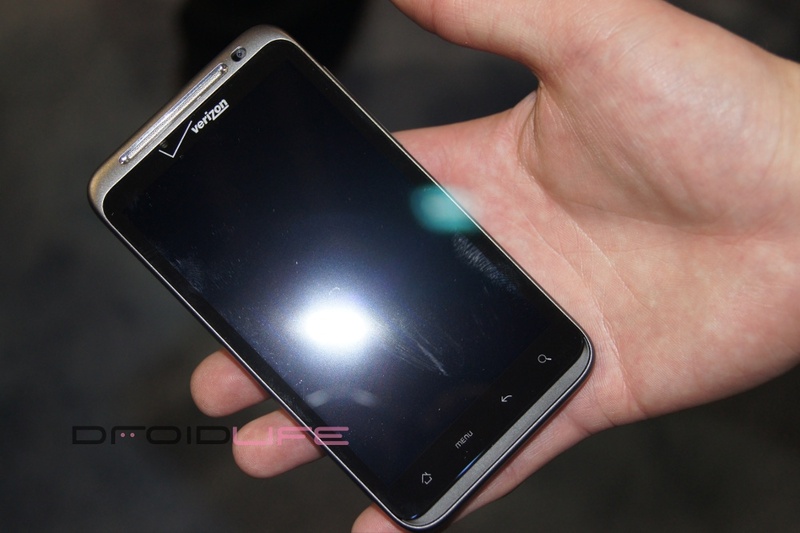 Pricing of Verizon 4G LTE Android Phones, What Can We Expect? When the HTC Thunderbolt is announced as the world’s first 4G LTE smartphone, would any of you be willing to pay more than the usual $199 subsidized 2-year contract price for it? The reason I’m approaching this subject is the fact that Verizon put their four exclusive 4G LTE devices up in front of the world at CES just a couple of weeks ago, but was unwilling to mention pricing of any sort. While this is standard procedure for any product release, we’re just wondering what a premium price tag would do to your willingness to have the best? We’re fully expecting an entire suite of non-4G LTE Android phones in 2011 from VZW that will all likely land at the $199 2-year contract price point, but what about the big dogs? So far, competitors like Sprint and T-Mobile have left their “4G” devices at normal pricing aside from the Epic 4G who snuck in originally at $249, leading us to believe that Verizon could do the same, especially since we all know that Big Red likes to do things bigger and some times pricier than everyone else. Let’s also not forget about 4G LTE data plans which currently look like this: 5GB for $50 and 10GB for $80. If those stand when smartphones start hitting the market, you’ll be paying what most would consider, insanely high prices for a block of data that you could easily surpass should you be any sort of an above average user. Couple that with a potentially higher priced device and you are looking at quite the wireless bill. And then comes in the fact that Verizon is changing their upgrade policy by removing the “New Every 2” deal, leaving customers stuck with devices for at least 20 months. Many of you have talked about only signing 1-year contracts going forward, but think about a 4G LTE device on that 1-year contract at a potentially increased price? Shake things up a little bit? While we have zero confirmation that prices could jump to anything out of the ordinary, it’s just something we wanted to start up a conversation around. How much are you willing to pay to have the best smartphone on the best new network? Would you be into a $249 DROID BIONIC knowing that you would be stuck with it for 2 years? What about $349 for a 1-year contract? Questions, questions. CONTEST: Win a Motorola Command One Bluetooth Headset!